How to change your JioFi name (SSID) and password ? As the world’s cutting-edge internet provider Jio offers a sophisticated JioFi personal hotspot device which can be used by wide range of smartphones and laptops that need to access the 4G high-speed internet. One thing that should be kept on mind is that if a lot of users are connected to the JioFi router at the same exact moment the internet speed might be lower. This could happen when a lot of people are familiar with your password and SSID name of your JioFi router. In that case, the best thing would be to change boot, the SSID name and password in order to increase your internet speed. Nevertheless, there could be several other occasions when tour internet speed gets decreased. Without further delay, let us present you the step by step guide on how to change JioFi name (SSID) and password. 1 – Connect your smartphone/laptop to your JioFi router over WiFi or using USB cable. 2 – Open your search engine, type in http://jiofi.local.html or http://192.168.225.1 and launch the page. 3 – Choose ‘Login’ option which you can find at the top right corner, and type in ‘administrator’ as, both, the username and the password. 4 – After that, go to the ‘WiFi settings’ that are located under the ‘Settings’ tab. 5 – Now, change the SSID name and password here of your desire. 6 – As soon as you have completed previous steps, click on ‘Save’ in order to save your newly chosen password. With these six easy steps, you have changed your JioFi router password which automatically disconnected all the other devices previously connected to your network. All you need to do now, in order to connect to your JioFi router is type in your new password, and you’re good to go. A lot of things have changed in the past year when it comes to telecom industry. The brand-new telecom company Jio introduced 4G technology which has changed everything. Not only that the Jio came up with the 4G services in India, but they have also presented complimentary offers such as Unlimited 4G data services/usages/calls. Before Reliance Digital’s JioFi, if a user desired to utilize preview offer by Jio they would have to acquire LYF handset and get access to their complimentary free services. 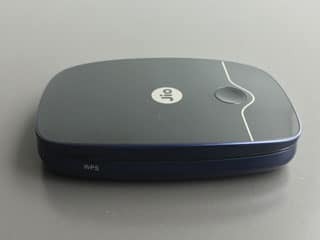 After that the Reliance Digital showcased their new device JioFi (Jio MiFi), portable hotspots with high-speed internet. Here you can find a user-friendly guide on how to change network name and password on JioFi. No matter if you are good with the computers or not, this guide is going to be helpful regardless. 1 – The first thing you are supposed to do is turn on your JioFi router. Switch it on by holding on a power button until the device is turned on. Do not hurry, wait until the JioFi device is fully on and prepared to use. 2 – After you are sure that your router is on and ready to use, make sure that there is a connection between your JioFi router and a device (PC, laptop, or smartphone). Wi-Fi connection would be perfect. In case you didn’t previously change your JioFi router’s username and the password, default password and username are written on the back of the box, or at the back of the device. Although, if you changed it earlier you will have to enter your own password, the original won’t help. 3 – Step 3 involves entering the configuration page to run JioFi settings. That can be done easily. First you need to use your device, previously connected with JioFi router and open internet browser on it. Then, in the search bar copy this link http://jiofi.local.html or type in 192.168.225.1 and press the search option. 4 – By pressing the search option in previous step, you will get to login page of your JioFi router. There will be two fields, which need to be filled. It will ask you to type your username in first, and your password in second field. Instead, you will enter ‘administrator’ in both and click on the ‘Login’ option, which you can find below. All caps should be small, ‘Administrator’ won’t work. 5 – This is the last step, in which you will successfully change your password and set a new one. To do that, click on Network>>Wi-Fi Configuration. Right after, a new menu will appear in which you will notice options such as Status, Channel, Encryption, and more. As you go down through those options, you will see a field named ‘Password’. In that empty field, you can enter any password you want. Just make sure that is safe, original, and you won’t forget it. When you create password and enter it, go to ‘Save’ and you are successfully completed password change process. Let us know if this was helpful and be free to ask anything that is unclear and needs to be explained one more time. Write in comment section, someone will answer shortly with some helpful information.